Our Davidovich Bakery Everything Bagels are indeed everything and anything you could ever want from a perfect bagel. New York artisans have perfected the craft and hand-roll each bagel individually. The bagels are then kettle-boiled and oven-baked on wooden planks. These golden-topped bagels are generously coated with poppyseeds, sesame seeds, chopped onion, minced garlic and salt. They're crisp at the first bite, then soft and delightfully chewy inside. Kosher. 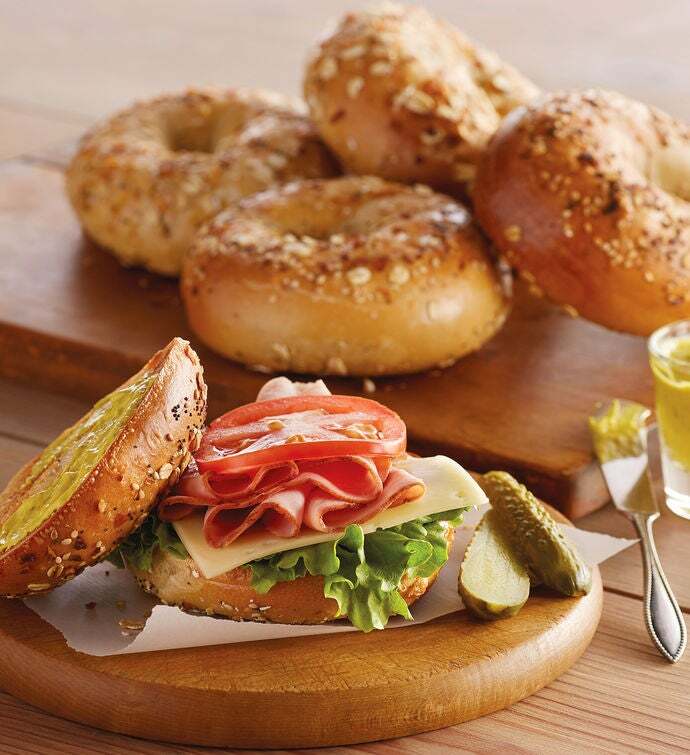 Davidovich bagels are preservative-free. Please refrigerate or freeze them upon receipt.